About The Demons — Latrobe Basketball Association Inc.
An appreciation for all sport offers"
Join a Latrobe Team! Support Local! Have Fun! We believe encouraging people to participate in basketball contributes positively to their health and wellbeing. The junior program continues to encourage new players enabling our local Basketball Stadium to become a familiar and friendly environment. Joining a team provides a platform for learning — ball handling, fine and gross motor skills, self control, communication, motivation, respect for others, commitment, team work and leadership—essential life skills. Whether you are on or off the court, our club has something to offer. Watching or playing becoming a member of a club and an active member of our community provides benefits for all. baskebtall and participate in the associated social activities. Senior players combine with higher age juniors in social men’s, women’s and mixed rosters. Latrobe Basketball Association is well placed within the region. 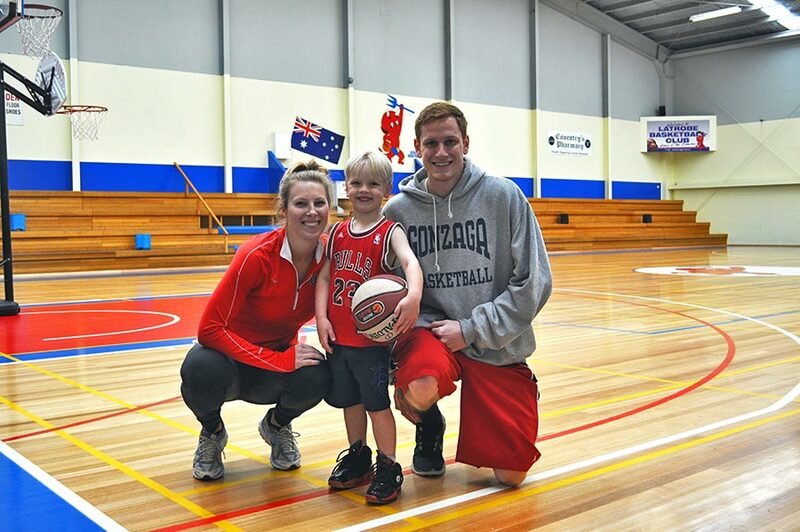 The local sporting precinct offers varied sporting options for families. All roads lead to Latrobe for Swimming, Football, Cricket, Hockey, Baseball, Bowls, Badminton, Croquet, Squash as well as our local Gymnasium and Boxing Club.